CUMBERLAND COUNTY IN North Carolina is a suburban school district with high poverty near Fort Bragg, a military installation with more than 50,000 active duty personnel. Last year, the area was devastated by Hurricanes Florence and Michael. The destructive storms left many students homeless with thousands of houses damaged or destroyed. In the aftermath, Superintendent Marvin Connelly wrote me to thank AASA for its financial support that helped students and their families. He described a family that had been homeless for several years due to Hurricane Matthew. Then Hurricane Florence flooded the temporary facility they were occupying, forcing the mother and two daughters to live out of a van. The mother used funds from AASA to repair her car, buy food and purchase clothing for her daughters. Since Hurricane Katrina in 2005, AASA has raised and contributed more than half a million dollars to assist families and students in communities affected by hurricanes, tornadoes and fires. Last fall, the Patrick County Schools in southwestern Virginia were hit by two hurricanes, an ice storm and a snow storm. Two schools suffered power losses that resulted in spoiled food supplies. Because of flooding, new food deliveries could not be completed. AASA grant money was used to purchase food to be prepared and served at the two schools. When the system had to close for a week, AASA dollars provided free lunches for students and parents eligible for free and reduced-price meals. Florida’s Bay District Schools were severely impacted by Hurricane Michael. As students returned to school, they needed replacement clothing. AASA funds purchased shirts, pants, shoes, socks and underwear. The beauty of the grants given by AASA is their flexibility. Districts can use the money to address immediate needs. New Hanover County in North Carolina used its grant to provide clothes and transportation for 12 families who were living in shelters two months after Hurricane Florence. AASA funds most recently assisted schools affected by the widespread wildfires in California. Unfortunately, it is not just natural disasters that devastate our school communities. Shootings, suicides and drug overdoses are claiming the lives of many students and staff. According to the U.S. Naval Postgraduate School, 55 fatalities resulted from school shootings in 2018, making it the worst year on record. According to the National Center for Health Statistics, suicide is the third leading cause of death for school-aged children over 10. And opioid addiction is reaching epidemic proportions among school-aged children. Consequently, hardly a week passes without us learning about a tragic incident involving a student or staff member. In 2016, Joe Erardi, then superintendent for Newtown Public Schools in Connecticut, was serving on AASA’s Executive Committee. He had succeeded Janet Robinson, the Newtown superintendent during the Sandy Hook tragedy, and was keenly aware of the need that superintendents have for immediate support in those critical times. Erardi suggested AASA develop a process for assisting superintendents in times of crisis. With the Executive Committee’s approval, AASA’s School Safety and Crisis Planning program was launched. Any superintendent can reach out at any time and get assistance from him at 571-480-0313. AASA also has developed a School Safety and Crisis Planning toolkit. The toolkit provides proactive best practices before, during and after a crisis and links to education organizations providing materials and resources, including the American School Counselor Association and the National Association of School Psychologists. Two of AASA’s School Solutions partners also provide free resources. CrisisGo is a free application that gives every classroom an emergency-alert system. Citizenaid places life-saving equipment in every classroom along with training in how to use it. Every week, AASA staff members scour the news in search of school districts that have experienced a fatality or other type of serious loss. We immediately contact the superintendent offering our help. A steady rain and unseasonably cold temperatures in Los Angeles did not put a damper on the 2019 National Conference on Education. Off in the distance from our hotel, one could spot the infamous Hollywood sign perched on the Santa Monica Mountains. They say Hollywood is where the stars are. As far as I was concerned, the only stars that mattered were the 2,000 superintendents and other administrators who joined us in the City of Angels to celebrate excellence in school system leadership. Congratulations to Curtis Jones, superintendent of Georgia’s Bibb County Schools for being named the 2019 National Superintendent of the Year®. Here’s a man who spent the first 20 years of his professional life serving in the U.S. Army and now is dedicated to providing the highest quality education to the students he serves. 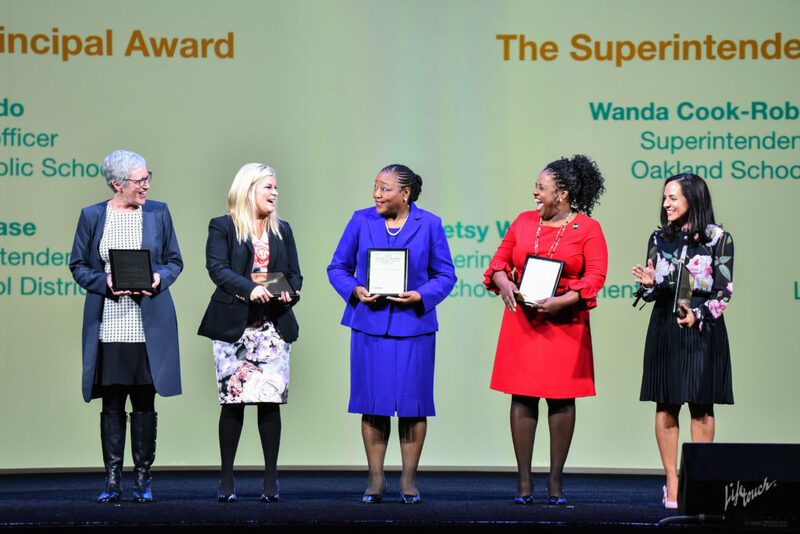 Let me also congratulate Wanda Cook-Robinson, superintendent of Michigan’s Oakland Schools, and Marie Izquierdo, chief academic officer for Miami-Dade Schools, for winning top honors in our Women in School Leadership Awards. Congratulations as well to the 2019 recipients of our annual Dr. Effie H. Jones Award, a recognition of school leaders who have dedicated themselves to the pursuit of equity and the advancement of women in education. Honorees included Wanda Cook-Robinson; Traci Davis, superintendent of Washoe County School District in Nevada; and Karl Hertz, past president of AASA and retired superintendent of Mequon-Thiensville School District in Wisconsin. It wasn’t too long ago when our national conference convened over the course of three days. Today, with the expansion of our leadership services, our annual gathering, from beginning to end, stretches for about a week. A few short years ago, we offered just two leadership cohorts. Today, that number has swelled to more than 35, mobilizing more than 2,000 superintendents as well as those aspiring to become superintendents. Participation spans all 50 states and Puerto Rico. We were thrilled to recognize the outstanding educators who successfully completed the National Superintendent Certification Program®, Aspiring Superintendent Academy® and the Urban Superintendents Academy®. At a time when public education continues to be put under the microscope, I am so pleased that dozens of men and women who wish to grow their professional careers on behalf of students in their respective communities were honored for completing our rigorous professional development programs. The award winners and program participants are all champions for children. They are leaders who matter. They are ambassadors of our campaign, showcasing exemplary leadership. I am proud of each and every one of them. I thank our three General Session speakers—former U.S. National Security Advisor and Ambassador to the U.N., Susan Rice; Bill Daggett, the founder and chairman of the International Center for Leadership in Education; and former Major League Baseball pitcher Jim Abbott. We owe each of them a debt of gratitude for joining us. A final thank you to all the public education leaders who made the journey to Los Angeles for our special event. We hope you enjoyed the conference as much as I did. The AASA family looks forward to seeing you in San Diego for the 2020 National Conference on Education. For wall-to-wall coverage of AASA’s 2019 national conference, visit Conference Daily Online. THOUSANDS OF SCHOOL superintendents will convene this month in Los Angeles to attend AASA’s National Conference on Education. 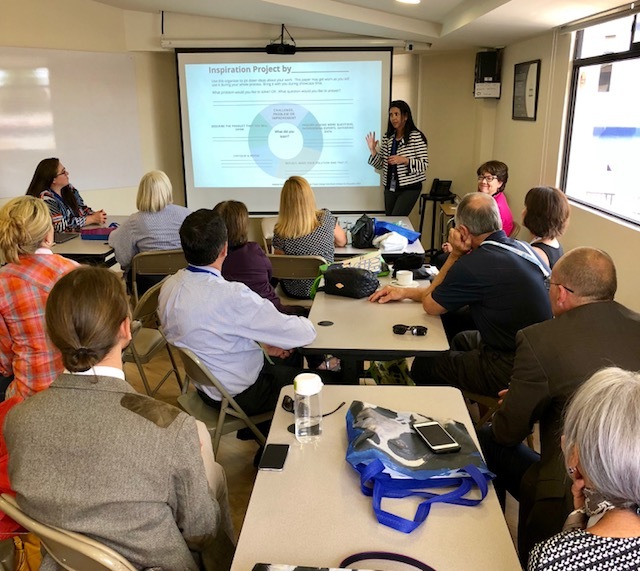 The attendees will be exposed to more than 100 sessions focusing on topics relevant to their work as the educational leaders of their communities. The General Sessions will include a discussion I will have with former United Nations Ambassador Susan Rice. Always a popular presenter at our national conference, Bill Daggett will share his latest research on innovative practices, while former Major League Baseball pitcher Jim Abbott will deliver an excellent talk on how he overcame having one hand yet still pitched a no-hitter with the New York Yankees. It’s a gripping story relevant to the bullying and adversity that students with disabilities face. The conference also provides for professional networking with colleagues. We have discovered through the many leadership development opportunities AASA provides that educational leaders greatly value the time to engage in discussions with critical friends. Learning from one another and knowing that you can reach out to others for counsel when needed is essential for personal growth and professional development. Consequently, the role of the superintendent as the champion for children and public education is more important than ever. AASA will carry your message to Congress and to the U.S. Department of Education, but at the local level, you must prevail. AASA is here to support you in that effort. In his book Notes on the State of Virginia, Thomas Jefferson proposed a system of public education for males only and further studies that were limited to the best students. We have progressed much further than that but, in many ways, we still focus on the best students. Consider that our goal is to prepare our students to be college-ready, yet the reality is that fewer than 40 percent of our students earn a four-year college degree. The focus is still on our “best” students. What happens to the other 60 percent? Have we done enough to make them “career-ready”? According to corporate America, we have not. They constantly bring up the fact that there are thousands of skilled jobs that cannot be filled because we have not trained students to capably handle them. At a recent meeting of our superintendent/community college president cohort, cosponsored with the American Association for Community Colleges, a participating superintendent said that when he asked a group of parents how many wanted their children to be four-year college graduates, they all raised their hands. We are living in a culture where a vocational education is not desirable. A skilled laborer is not given the same respect as a college graduate. Statistics show a direct positive correlation between earnings and level of education. AASA’s Redefining Ready! cohort is trying to change that culture. Yes, we still want to provide our students with the quality education that enables them to pursue the highest degree they want to achieve, but at the same time we must provide students with the option to pursue alternative pathways. Our partnership with AACC has resulted in a significant increase in dual credit programs where high school students are graduating with both a high school diploma and an associate degree. Youth apprenticeship programs create collaboratives among high schools, community colleges and businesses that provide students with an education while they learn a trade and are guaranteed employment. Our Personalized Learning cohort seeks to transform education as we know it and to redesign it into a 21st-century version that provides every student with instruction that is always appropriate to their ability and interests. The true definition of equity is not to provide all students with the same, but to provide each student with what he or she needs to be successful. Students will progress at their own pace and assume responsibility for their learning as they choose the areas of study that interest them. 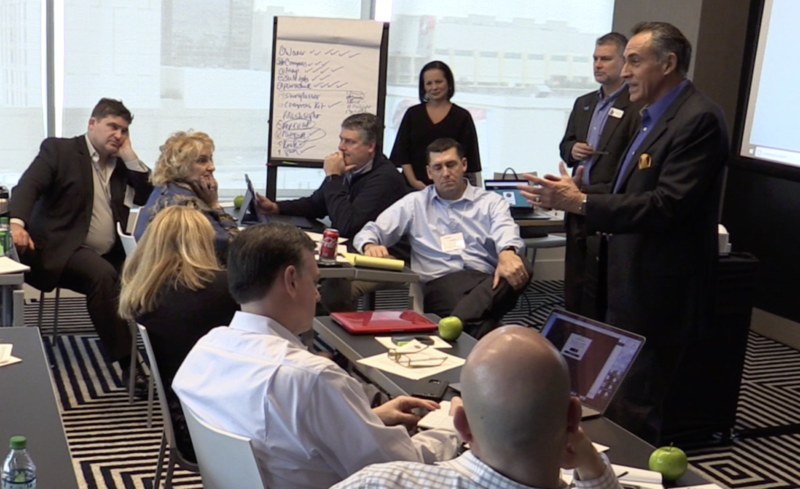 AASA members are hard at work creating a culture that will produce a bright future for all. FOR MANY YEARS, AASA has conducted its international seminar to provide our members with the opportunity to see education up close and personal in countries across the world. I first participated in the seminar in 1998, the year that I was president of AASA, when we went to Cuba. Traveling to Cuba then was quite different than traveling there now, but our group still had an amazing experience. Since becoming AASA executive director 10 years ago, I have had the opportunity to travel extensively with our members. This past October, the international seminar took the group to Ecuador, with a side visit to the Galapagos Islands. Compulsory education there begins at age 6, although pre-school and infant care programs are available in select private and public schools. The secondary program goes from ages 12 to 18 and encompasses the equivalent of our middle school and high school. Postsecondary technical schools are similar to our community colleges, and four-year university programs lead to a bachelor’s degree. Fewer than 20 percent of high school graduates attend college, with the majority attending public universities, and some 20 percent attending private schools. The International School in Quito was no exception to the rule. It is an outstanding institution providing the highest-quality education to the students it serves. At capacity serving more than 800 students, the school has a waiting list even though tuition runs $18,000 a year. The student population has an international flavor with 58 percent being international, 42 percent Ecuadorian and 22 percent North American. We next visited the Vigotsky School in Riobamba, also a private school serving more than 1,000 students from age 3 through high school. Their base is mostly middle-class, charging a tuition of $77 per month. They tend to follow the American Productivity and Quality Center standards and focus on English instruction. Indeed, one of the high school classes we visited demonstrated proficiency in English, sounding just like American high schoolers. Our first visit to a public school was the Milenio School in Guano. This school also offers pre-K to high school in a facility that is only five years old and brought together students from seven smaller schools in the community. The school’s population is predominantly poor indigenous children. Holguer Paucar, the school’s director, expressed pride in the facilities, which include athletic fields, science labs, language labs and libraries. 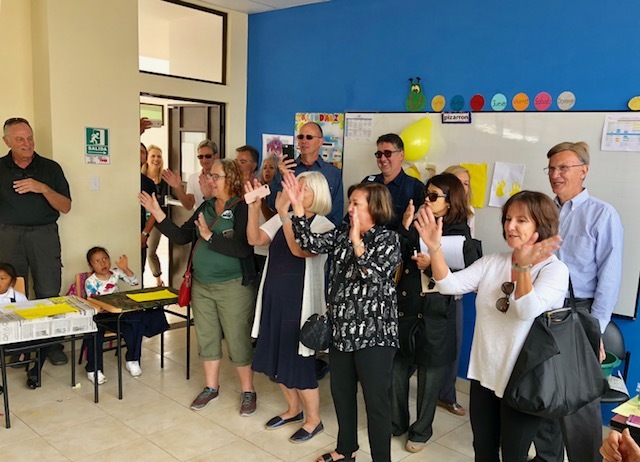 The milenio schools in Ecuador were the brainchild of the nation’s previous president who sought to provide quality education facilities for the poor. The Guano school has become the focal point for a community that takes advantage of the facility to stage community events. It epitomizes the community school model we foster here in the U.S.
Paucar, however, shared his deep concern that although students benefit significantly from an improved environment, the quality of the curriculum and the high level of instruction that should accompany such a beautiful school are seriously lacking. 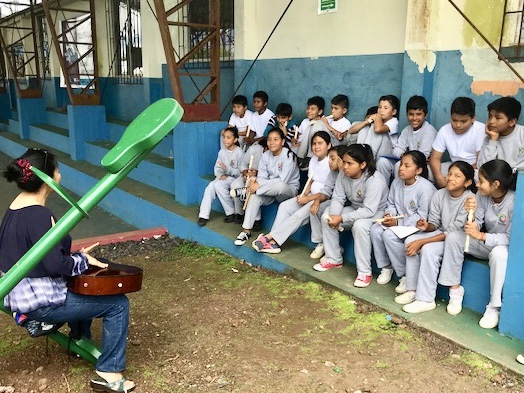 In the Galapagos, members of our seminar contingent visited the Carlos Darwin School, a K-7 facility with 75 students and seven educators. The school has a so-named “institutional leader” who doubles as a 6th-grade teacher. Darwin and other schools on the islands are small, poorly equipped and suffering from a weak teacher base. Isolation is a major factor in limited teacher training and professional development. Equity is a major concern in the countries we have visited over the years. 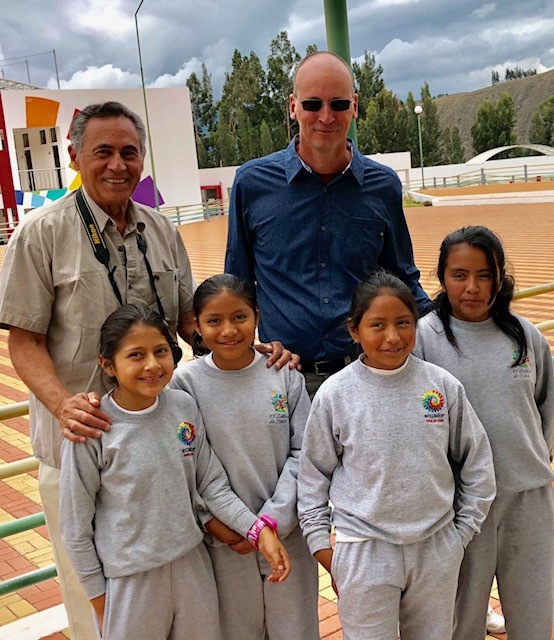 In Ecuador, we saw exceptional schools and quality education for those able to afford it. But for the poor, even when the government stepped in to build a beautiful facility, the quality of the curriculum and instruction was not up to par. MY PARENTS WERE proud of me when I became a teacher and then moved into administration. They were aware I was in a Ph.D. program that would lead to further advancement. As a New York City resident, my mother knew the superintendent as the individual who maintained the buildings we lived in. She was perplexed as to why I had made such a drastic change in occupation. Like my mother, many people do not really know what the superintendent does. Friends who knew the superintendent was the person in charge of the school district still assumed I had a regular school day schedule and my hours ended when school let out, plus I had summers off. 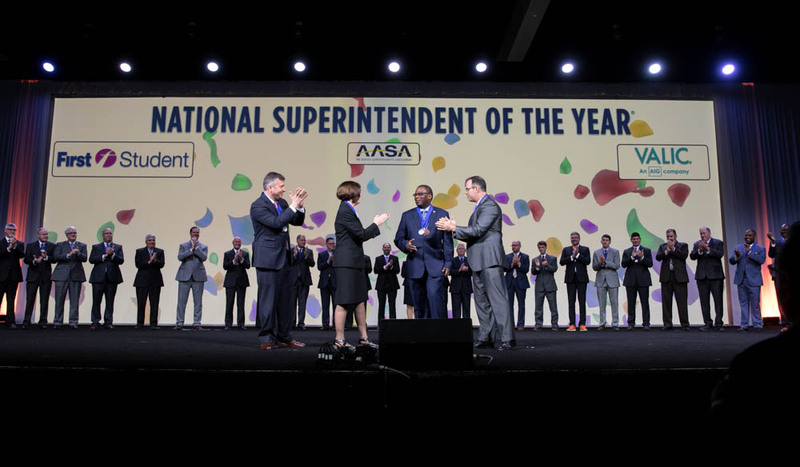 Earlier this year, AASA launched the Leaders Matter campaign to better inform the public about the role and responsibilities of the superintendent and to highlight outstanding education leaders who are making a difference in the lives of millions of children. Four such examples follow. Mary Sieu has been the superintendent of the ABC Unified School District outside Los Angeles since 2012. As the daughter of an immigrant family from China, she learned English as a second language in the Chicago Public Schools and was inspired to become a teacher by the wonderful teachers and principals in her schools. Though she grew up in poverty, Sieu believed demographics do not determine destiny. She proved that in her own case and was determined to make that belief a reality for the ethnically diverse and low-income students in the ABC communities. Today, the district boasts of a 98 percent high school graduation rate with zero expulsions for the past six years. Sieu’s leadership matters, and she has been recognized by her colleagues who selected her to be the 2017 California Superintendent of the Year and a finalist for National Superintendent of the Year®. David Schuler has been the superintendent of Township High School District 214 outside Chicago since 2005. Schuler, the 2018 National Superintendent of the Year®, has taken the lead in launching the Redefining Ready! campaign that has been adopted by school districts nationwide. At a time when so much emphasis and importance is attributed to the results of scores on standardized tests, Schuler is changing the definition to include a wider range of metrics to indicate postsecondary readiness. District 214 has become a demonstration site that shows the multiple pathways that students can choose toward a high school diploma and college and career readiness. Indeed, students are empowered to exercise their intellectual curiosity and pursue courses of study that truly motivate them. District 214 boasts six nationally recognized comprehensive high schools offering more than 600 academic courses and 140 co-curricular opportunities. Wendy Robinson has been the superintendent of Fort Wayne Community Schools in Fort Wayne, Ind., since 2003. Realizing the need to have highly trained and effective staff to meet the needs of her diverse student population, Robinson focused on developing an outstanding professional development system. She began by turning the traditional evaluation system into a learning process rather than an accountability process. The goal was not to punitively evaluate but to provide needed support. Working with Learning Forward, the district developed a districtwide culture of continuous improvement. Their success led to a $42 million Teacher Incentive Fund grant followed by a $50 million Performance+Equity=Excellent Results grant. Mike Winstead is the superintendent of the Maryville City Schools in Tennessee. The achievement gap between economically disadvantaged students and their peers has been a bone of contention for most school systems. Winstead decided to tackle the issue in his district. He focused on 3rd-grade reading where the gap was at 25 percent. A literacy council composed of teachers with a strong aptitude for teaching reading developed a literacy framework that included materials for the students and training for staff. Literacy support for the students extended beyond the school day and during the summer months. Tutoring was provided to students living in subsidized housing. In just a two-year period, the literacy efforts resulted in the reduction of the achievement gap to just 12 percent.